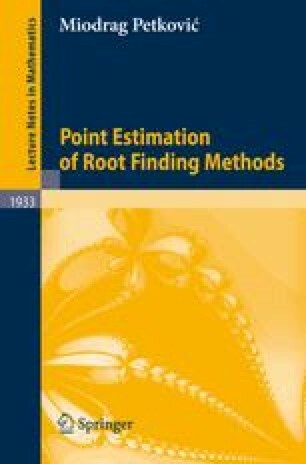 In this chapter, we are primarily interested in the construction of computationally verifiable initial conditions and the corresponding convergence analysis of the simultaneous methods presented in Sect. 1.1. These quantitative conditions predict the immediate appearance of the guaranteed and fast convergence of the considered methods. Two original procedures, based on (1) suitable localization theorems for polynomial zeros and (2) the convergence of error sequences, are applied to the most frequently used iterative methods for finding polynomial zeros.